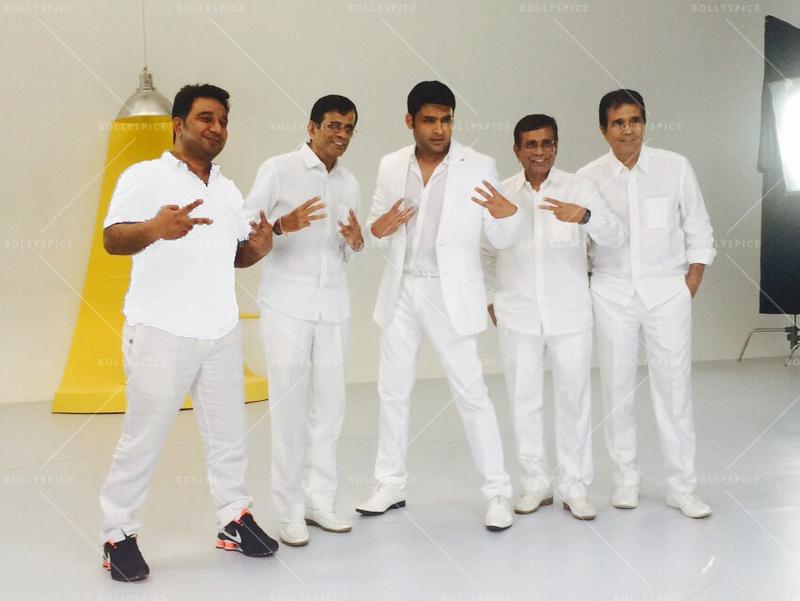 Ahmed Khan, Kapil Sharma and Abbas-Mustan-Hussein all in white theme! The cast of Kisko Kisko Pyaar Karoon was recently shooting for a song which is choreographed by Ahmed Khan. For one of the fun sequences and a small tribute to his directors Ahmed Khan and Kapil Sharma decided to dress up in all white ensemble. The film is directed by Abbas-Mustan and will see the talented duo venture into comedy genre after a long time. The film is Produced by Ratan Jain, Ganesh Jain and Abbas Mustan and stars Kapil Sharma, Arbaaz Khan, Varun Sharma, Manjari Fadnis, Elli Avram, Simran Mundi Sai Lokur, and Jamie Lever. 16 queries in 1.061 seconds.